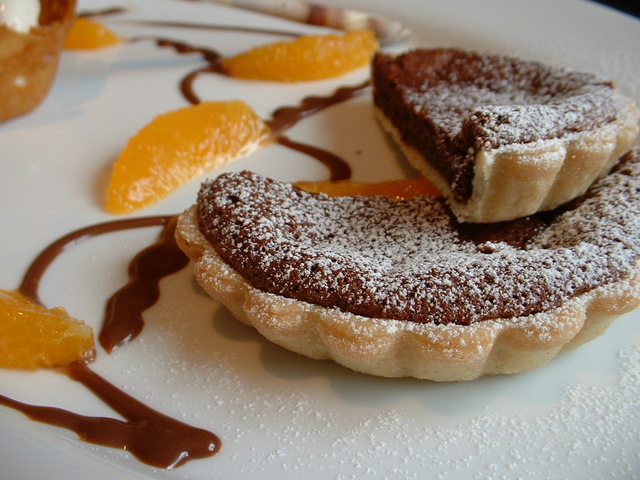 This recipe for vanilla bavarois is great for those looking for recipes for vanilla. 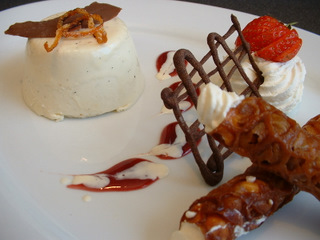 This vanilla bavarois recipe can be served with whipped cream, strawberries and brandy snaps. 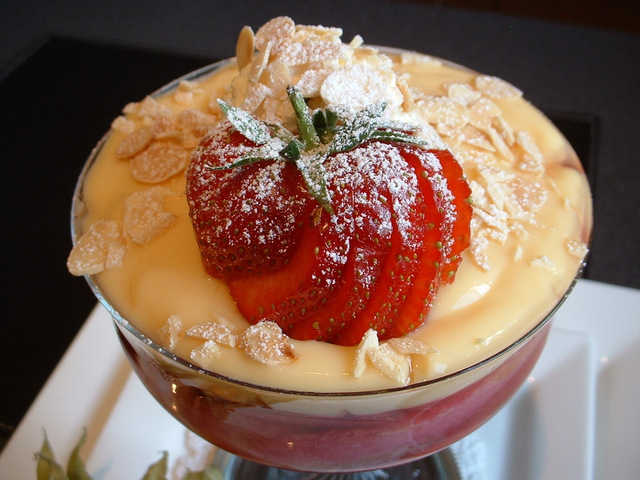 This recipe for strawberry trifle is a great strawberry recipe to try at home. If you are looking for a recipe for trifle, this strawberry dessert tastes fantastic all through the year. 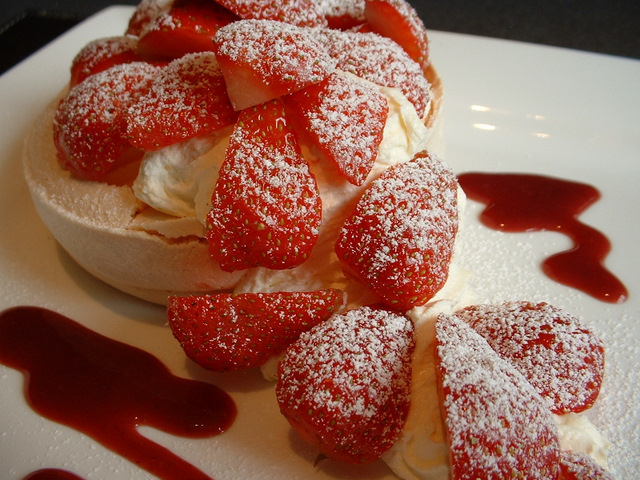 This recipe for pavlova uses strawberries to make a strawberry pavlova. This pavlova dessert could use any fresh fruit you like, such as black grapes and orange segments. 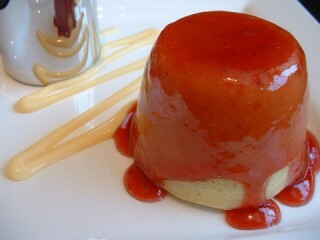 This recipe is for a steamed jam sponge pudding. This recipe for sponge pudding could exchange the jam for lemon curd or golden syrup, or add some dried fruit to the sponge mix. Alternatively, you could exchange 25g of the flour for cocoa powder to make a chocolate sponge pudding and serve with a hot chocolate sauce. 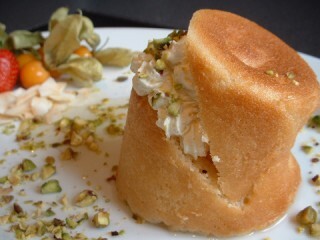 This recipe for rum babas is also know as baba au rhum, baba rhum and rumbaba. This rum cake recipe is a great recipe for using any rum you have in the house and makes a delicious dessert. 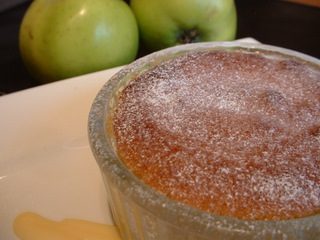 This pudding dessert recipe is for Eves pudding, which is a traditional apple dessert recipe. If looking for how to make a pudding, this sponge pudding recipe is ideal.